Worried about what will happen to your assets when you die or become incapacitated? Want to make sure you decide where the assets you spent your life acquiring will go? Then you need to plan what program is best. Every year, the limits for federal estate taxes change. Do you know how will effect you? An estate plan is important because it allows you to control how your assets are distributed and further allows you to express your health concerns. The lack of a Last Will and Testament or an estate plan will cause an intestate distribution based upon state law. Typically, when a person dies without a will, the law divides the decedent’s estate between surviving spouse and any living children. However, many people are surprised by the actual distribution of assets made by New York State law. Even if the decedent does not have any children, the spouse generally will not inherit the entire estate. This means that without a will your assets will divided on how the state says not you. You separated from your spouse many years ago, but never got divorced. You do not want to leave that spouse anything but want to leave your estate to parents or siblings. Without a will, there is the potential that all of your assets could go that estranged spouse. You have more than 1 child. One of your children has been overwhelmingly successful. You want to leave your assets to those children who need it more. You die without a will. The successful child might get an equal share. You have 1 child who you do not hear from. You have other family members who you spend time with, who take care of you when sick, and who have had you at their house for holidays. You want to leave some or all of those assets to those family members and not you estranged child. 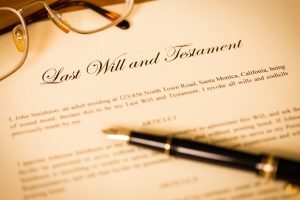 If you do not have a will, some of all of those assets may go to that estranged child and the family members you want to inherit may get NOTHING. You have children. You want some of your assets to go to favorite charities. If you do not have a will, those charities may not get any of your estate. You have your children and are widowed. You want to name the guardian for your children if you pass. Without a will, the court may decide who will serve as guardian and control your assets. Most importantly, an estate plan gives you the opportunity to designate a guardian for your children if your spouse does not survive you. It allows you to have a better insight than a court into which your relatives and friends will best be able to care for your children, both emotionally and financially. Your estate plan can put this designation in place and provide financial stability for your children. An estate plan can also simplify and remove family tension in the probate process for those that survive you. You have worked hard your entire life to build your assets. You should decide where they should go. Further, if you have minor children at the time of your death, the court may require a fiduciary (e.g. guardian or trustee) to be appointed, to receive and manage the property for the children. This can be a cumbersome and costly process. A Health Care Proxy is a document where you can appoint someone to make medical and health care decisions. This can allow you to have a conversation about what treatments you want and do not want and make sure that the person who will you want to make those decisions is in charge. 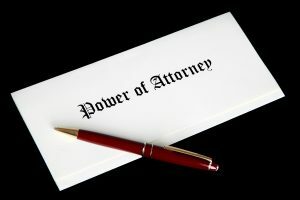 A Power of Attorney is a legal document giving someone authority to make financial and other business decisions for you. If you are unable to manage your financial decisions, you should give that authority to someone you trust who will make proper decisions for you in the short term and long term. Without a Power of Attorney, you either may not be able to have important financial transaction occur which could be harmful to your finances or the wrong family member might be able to petition the court to take over your finances and make decisions that you would not want. PROTECT YOUR ASSETS. A proper estate plan may also allow you to protect your assets and pass them to your family instead of being consumed by medical and long term care expenses. You also want to make sure that any transfer you make to family members is done to protect the assets from being claimed for medical expenses, to minimize tax liability, and allow you to live comfortably without the risk of being kicked out of your house. You worked hard for your assets, make sure that you get to enjoy the fruits of labor while also protecting the assets for your children and grandchildren. Proper planning may also allow us to identify potential Medicaid issues that may arise in the future.